I specifically wanted to get tickets for preview of this new performance directed by Ethan McSweeny, before it officially started it’s run. As expected, there weren’t as many and the auditorium was buzzing well ahead of the start. Having read the play before, I had preliminary idea of what to expect, but I have to say I was amazed by entire experience. 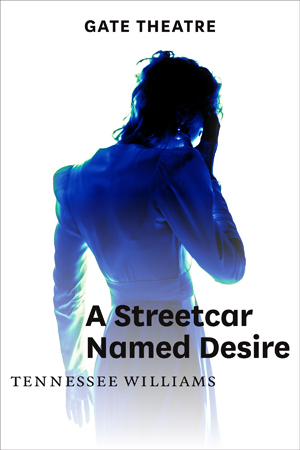 This award winning play written in 1947 portraits a collision of 2 different universes- Blanche DuBois (Lia Williams) and Stanley Kowalski (Garret Lombard). The link of those 2 parallels is Blanche’s sister and Stanley’s wife – Stella (Catherine Walker). We first meet Blanche – vulnerable, emotional, delicate and aristocratic woman, who refuses to acknowledge her fading beauty and aging. She has to be fueled by compliments, otherwise she slips into emotionally unstable condition. Blanch seems to be overly excited and perhaps at times hysterical, going from happy to hateful in a split of a second. A viewer might see her as just another annoying crazy character until Blanche tells her story. Only then you realize that this woman, given the era the play takes place in, has every single reason to be the way she is. It is then you fall in love with Blanche as you feel genuinely sorry for her and perhaps even slightly proud, that after everything she has been through she has an amazing sense of humor left. At first Blanche seems like just a careless creature who is set to take advantage of her sister. However after watching the play entirely it came to my mind, that perhaps she is just trying to start a new chapter of her life, to put her past behind and move on, to become a stronger person and to heal herself. There is just a devastated creature behind all pride, manners and chic after all. Blanche’s counter force is Stanley – a complete opposition of Blanche. He is rude, animalistic, proud of his lower class background male trying to convince everyone around, that he is the only person around to be listened to and that all his wishes and orders are to be obeyed. Stanley dislikes Blanche almost the moment he lays his eyes on her. They both posses a strong quality of pride, which makes living to be a soon-to-explode dynamite. Stanley is determined to expose Blanche’s secrets and get Stella on his side, while Blanche is trying to turn Stella against Stanley. He sets a goal to deny Blanche a second chance to start her life all over. He is not shy to be blunt and is covering his behavior with absence of manners; he seems to allow himself to be brutal, impolite and spoilt with forgiveness from Stella. Maneuvering between two edges of the cliff is Stella. Coming from higher class family she is taking comfort in Stanley’s character as it seems to be exactly opposite from what she is trying to run away. She falls a victim of Blanche’s love and Stanley’s manipulation (or perhaps Blanche’s manipulation and Stanley’s love). Stella has to make serious choices and serious decisions, which no doubt are heavy on her conscience. They would be tough for anyone to handle. With the arrival of her sister she is reminded about her high class background and moral principles, which creates a struggle, a collision of two different realities. The fact that Stella is going to have a baby traps her in a way and serves as comfortable excuse for choices she makes. Other actors play very much important role in the development of each scene and are undoubtedly integral part of the performance. The use of wonderful vocalist sets just the right mood and gives a fresh twist to the production as well. The setting of the stage is on spot for every single scene and doesn’t need much changing throughout the performance. Lion share of humor makes it easier to watch the play, considering the amount of drama involved and the duration of the play. Slightly over 3 hours in a theater can sometimes be overwhelming (something to be aware of, when you plan your evening). Actor’s play deserves a standing ovation, no doubt. Emotions felt so real, not a slight indication of a possible conflict, every mood swing, every word felt their own. The talent is beyond any description. Absolutely everyone adapted the role like their own skin and this was not an easy job, considering explicit complications each personage had as part of the character. Overall another outstanding performance produced on the Gate stage, expected nothing less than brilliance and my expectations were definitely met.